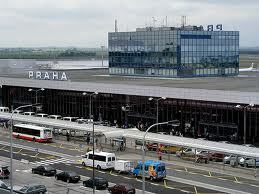 There are four principle train station in Prague. The most important of these (and the one servicing most international arrivals and departures) is Hlavni Nadrazi (Wilsonova str.) - located nearby Wilsonovo Namesti (Wilson's square) in Prague 2. The second in importance is Holesovicke Nadrazi in Prague 7. Then there are Smichovske Nadrazi in Prague 5 and Masarikovo Nadrazi in Prague 1. Network of higways interconnects the Czech capital with surrounding cities. Parking is always free of charge from 18:00 - 08:00, as well as on Sunday all day (occasionally Saturdays, too). The public transit system in Prague is much more efficient, than travel on foot. Tickets may be purchased at the airport, at metro stations or in many of the newspaper stands throughout Prague. Passengers are obliged to validate their tickets immediately after boarding first a vehicle or entering Metro for the first time (tickets are not validated again when changing). Children up to the age of 6,Holders of cards for handicapped persons "ZTP" and "ZTP-P" including a guide and a dog. Citizens of CR and persons with a permanent stay in CR over 70 years. A Wheelchair with a holder of "ZTP_P" card, Baby prams with a child. Animals (a dog) in a box. Small items and luggage up to dimensions 25x45x70 cm, boards not larger than 100x100x5 cm. Roll-shaped objects not longer then 150 cm and diameter not larger than 20 cm. One ski-set with sticks. Bicycles carried on the metro. Tickets Inspections: Ticket validity can inspected any time during a trip or within the transportation area by ticket of Prague Public Transit Co. Inc. Ticket inspectors on PIT vehicles and within the transportation area are entitled to ask passengers to produce valid tickets, take away invalid tickets and, in case of traveling without a valid ticket. The relevant ticket inspector issues a pay receipt or an acknowledgement of taking away the season ticket. Additional coupons bear protective elements. Ticket inspectors are entitled to give passengers binding instructions and identify personal data of a passenger.